Emmanuel Petit does not believe Arsene Wenger is the right man to sort out Paris Saint-Germain's "lack of authority". There have been suggestions that he could replace Antero Henrique as the Ligue 1 outfit's new sporting director at season's end, but Petit – who played under Wenger at Arsenal – does not think he would fit in at a club seemingly run by its band of superstar players, such as Neymar and Kylian Mbappe. "One of the major issues facing PSG is the lack of authority in that club," Petit told Omnisport. "All of those who played for big clubs, and I'm among them, they know very well that it doesn't work like that. "The attitude that some PSG players have had for the past few years, on and off the pitch, would have been punished at other big clubs. 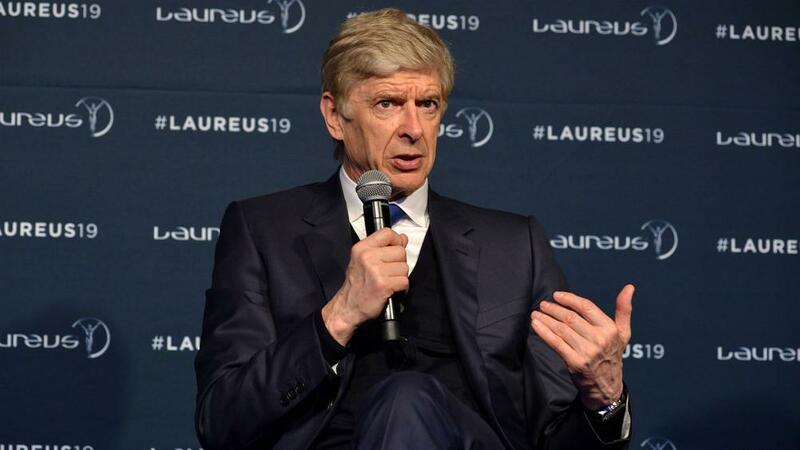 "If Arsene is interested in going to PSG to be the link between the president and Thomas Tuchel, why not, but I struggle to see him in that role. Arsene is someone who wants to have complete control, and this is one of the reasons why he didn't go to [Real] Madrid a few years ago. "Something is missing at PSG. The club have to be more respected, the players have to be more responsible. When you earn that much money, you have to compromise, you have some obligations. When I see what some players do, I think that football has changed a lot." Petit reiterated his stance that PSG were "cocky" against Ole Gunnar Solskjaer's United in the return leg and deserved to be on the wrong end of a dramatic 3-1 scoreline at the Parc des Princes. The 48-year-old pointed to the club's dramatic exit from the same competition in 2017 when they lost the second leg to Barcelona 6-1 after winning the opening match 4-0 and said that should have been all the warning required to prevent a repeat. "I was at the Parc des Princes and it was shameful, simple as that," he added. "One player acknowledged it, Presnel Kimpembe. He said they were cocky during the preparation, and it's exactly what I said on the pitch after the game. How they approached the game was very bad, the mentality was very bad. "And I disagree completely with what Tuchel said, yet I respect his work tremendously. He said it was an accident. I'm sorry but you can't talk about an accident when it happens every year, it's not an accident. At one point, you have to learn your lesson. "They knew as well that with the Barca comeback, the Roma comeback against Barca [the Italian side reversed a 4-1 first-leg defeat to progress in last year's competition] and all the weird things in European Championships and World Cups, you can't say the players were not warned."